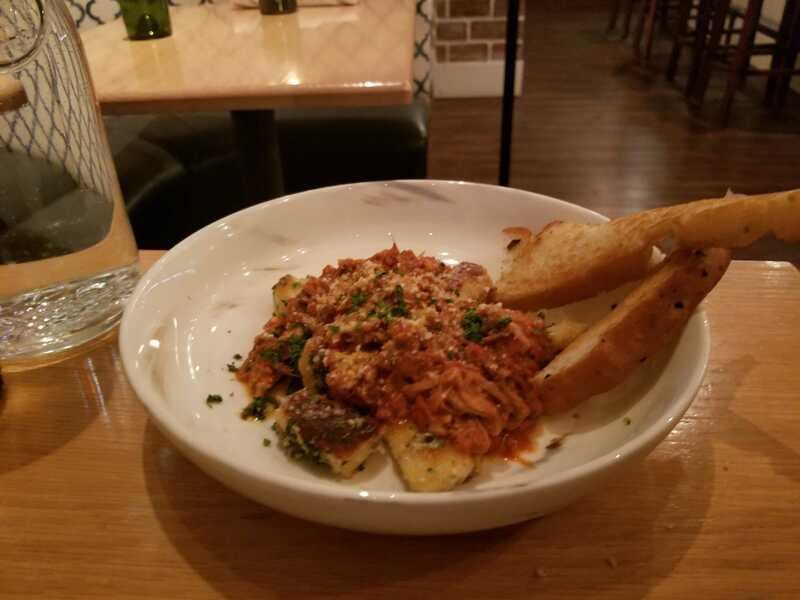 Restaurant Review: Louie's Wine Dive and Ripple Kitchen - NCHS Live! 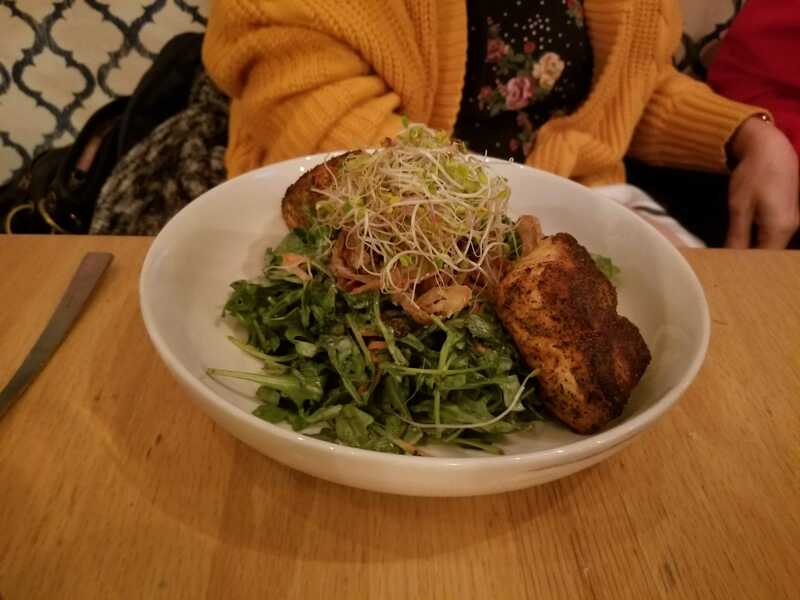 Located on the corner of Broad Ripple Ave and College Ave, Louie’s Wine Dive and Ripple Kitchen is one of the first restaurants you see when entering Broad Ripple from the west. Louie’s has also inherited a difficult pedestal to maintain. The building that Louie’s occupies has a history of accepting promising businesses that end up dying out quickly. But Louie’s has been around for several months, so maybe they have the chance to do what many other restaurants could not. First impressions were mixed. While the interior of the restaurant was well designed and decorated, those traits do not matter much when there is no one there. For a restaurant, in Broad Ripple, on a Friday night, Louie’s was strangely empty. As Louie’s is a restaurant that focuses in their wine and spirits, there is little space for those under the age of 21 to sit. Indiana law mandates that there must be a barrier between the bar and areas where people under 21 can sit. Because of this, the only seating options for those under 21 at Louie’s are very near to the bathroom. While the location of the seats may not have been appetizing, the food was. Even if Louie’s does focus on its wine, their menu is not to be laughed at. With a selection of burgers, salads and pastas, Louie’s menu has a diverse selection of foods. The Sinatra burger, possibly named after the famous musician, Frank Sinatra, pairs angus beef, bacon and balsamic vinegar to create an explosion of flavor. The Four Pork Gnocchi combines, pork, bacon and italian sausage with Italian gnocchi to make a delicious Italy-inspired pasta dish. The Honey Butter Chicken Sandwich, which is as good as it sounds, is a combination of traditional hamburger ingredients like tomatoes and lettuce, with the addition of butter chicken drizzled in honey instead of beef. 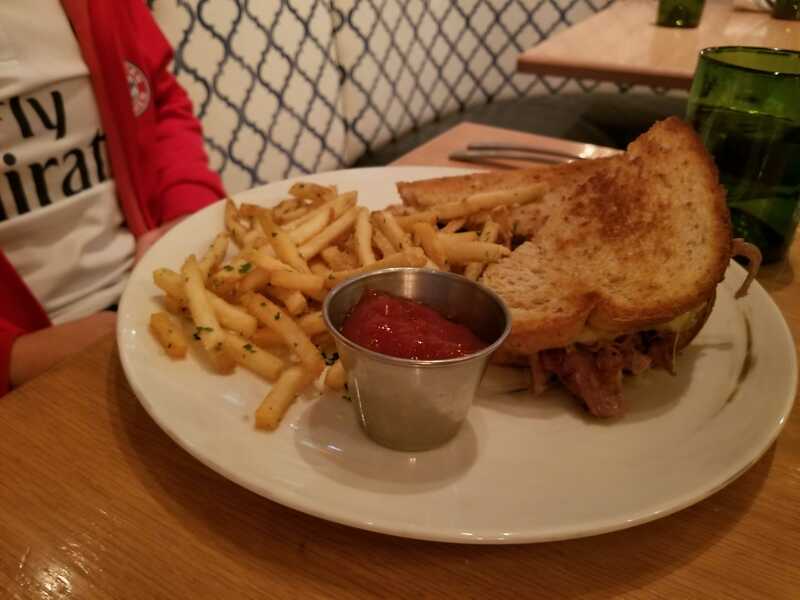 As one can guess from the name, the HBC Sandwich is an amazing combination of vegetables, the amazing honey butter chicken and the parsley fries that are paired with many main dishes.